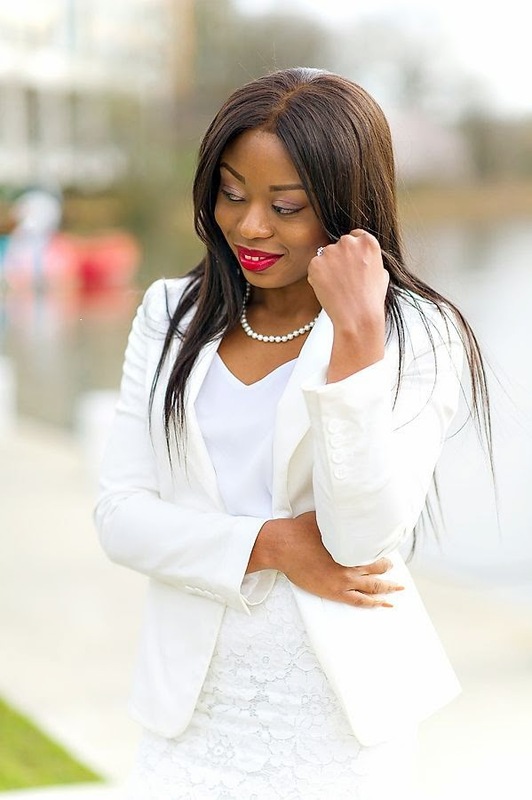 At times, wearing white is refreshing and chic; for me, it is not limited to certain seasons or special occasions. 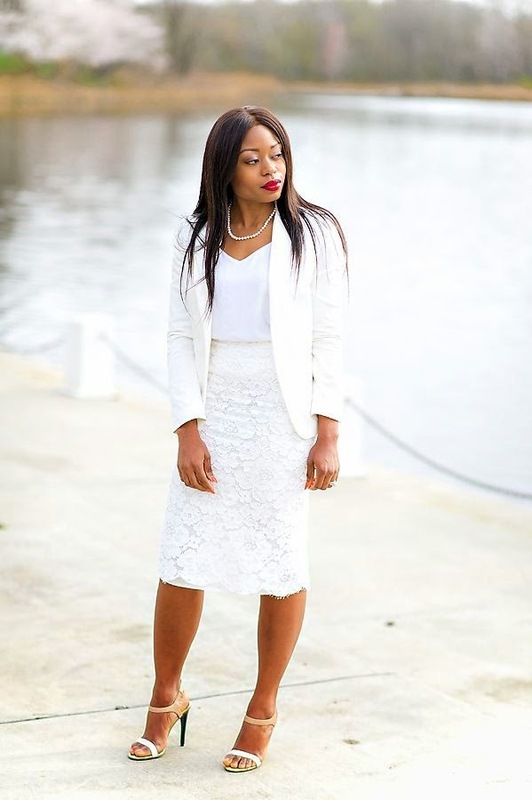 For today’s post, I paired a lace skirt, cami and a fitted white jacket for a chic and classy look. 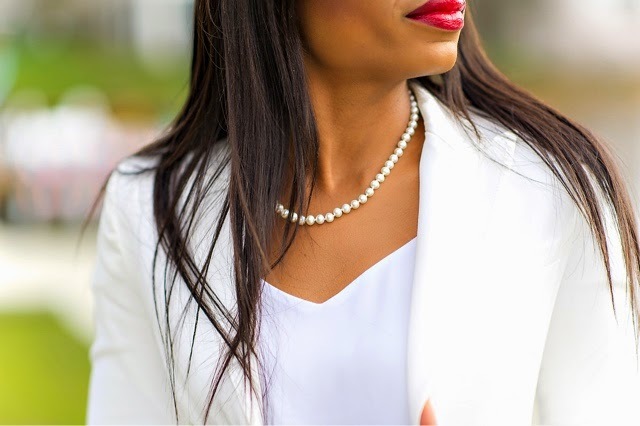 I accessorized with a pearl necklace from "The Pearl Source" and a mix of white & beige sandals for contrast. I put on my red lipstick to add a pop of color. Clean. Pretty. I love it! Haven't seen u in an all white ensemble before. I find this look very refreshing! I love the all white look. You look beautiful. I'm a big fan of the all white look, love the skirt it's pretty amazing. This ensemble is absolutely gorge! Lace + White = Perfection!